Want to store your rings in most stylish way? 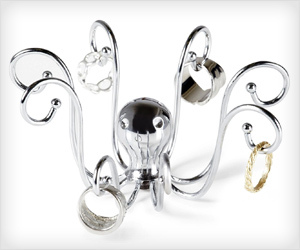 Umbra Octopus Ring Holder is one beautiful organizer that enhances beautify of your rings further. Made with cast metal and Chrome finish, it looks so good.